A Pain Management Specialist is a physician who has specialized training in diagnosis, evaluation and treatment of chronic pain conditions. A pain specialist can treat your pain with Medications, Interventions, Behavioral methods, Physical therapies/rehabilitation alone or in combinations depending on the diagnosis. A degree in Pain Medicine is a super-specialization and this is done as a fellowship, following post-graduation (MD) in subjects like Anesthesiology, Physical Medicine and Rehabilitation, Orthopedics, Neurology. 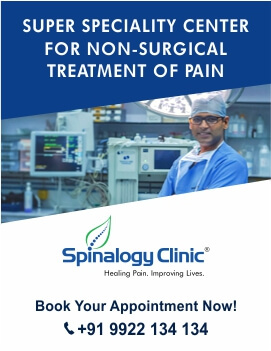 A pain specialist is trained in various interventions to treat chronic pain, some of these are: Epidural injections (Cervical and Lumbar), Sympathetic nerve injections (Coeliac Plexus Injection, Lumbar Sympathetic Injection, Hypogastric plexus injection, Ganglion Impar Injection), Facet joint injections, Genicular nerve injections, Radiofrequency nerve ablations, Neurolytic injections, Regenerative therapies like PRP injections.